Establishing a healthy stand of turf grass is a good start to keeping insects and weeds from becoming a problem in your home yard. However, even the most manicured and healthiest yards can have infestations of weeds and insects that detract from their uniform appearance. Most of these pests can be controlled with pre-emergent herbicides and insecticides. Pre-emergent pesticides are applied before the emergence of weeds or insects. If applied after the weed seed germinates these pesticides will have very little or no effect on the weed population. While it’s ideal to apply no pesticides, it is sometimes necessary to maximize the potential of your yard. When used to label specifications, pesticides for home yard use can be used very safely. If your yard has experienced weed or insect infestations in prior years it could be a candidate for a pre-emergent program. Waiting for weed or insect issues usually causes weakened turf grass and unsightly conditions after using a post-emergent. The most important aspect of the effectiveness of a pre-emergent is the timing. If the application is too early, the pesticide could lose residual effectiveness as the environment breaks down the chemical making it useless. If the application is too late, the weeds or insects could already be in the process of establishing residency in your grass. Most areas of the country have common timeframes for the application of pre-emergent herbicides depending on the weed or insect you’re trying to control. The problem with this methodology is that each year is different and it seems temperatures in the spring are warming up earlier. A better method to establish application timing of a pre-emergent pesticide is measuring soil temperatures and making applications according to the germination or emergence of your pest. 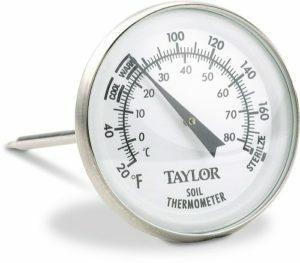 You can purchase a thermometer for soil temperatures from your local nursery or you could even use a meat thermometer. Take temperatures from the top 2-3 inches of your yard. Some quick on-line research of your pest can give you an ideal soil temperature range for each pest, your application should be before this threshold takes place. Once you’ve identified the ideal soil temperature for the germination of your weeds, keep monitoring your soil temperature by taking a few readings a week around noon each day. Once your soil gets within a few degrees of the minimum ideal range for a couple of days straight you should apply your pre-emergent. For instance, dandelion will germinate around 50 degree Fahrenheit. When your soil temperature reaches 40-45 degrees an application should be made immediately. This date may be much earlier than expected but it’s better to be early than behind the peak germination. This application may cover other common weed species as long as the residual time of the product applied is long enough. Research this residual time, which is usually related to the rate, and push your chemical provider to give you a specific time period your product will be effective. The longer the effective period or residual time of your product, the earlier you can make an application and the more weed species it will affect. Usually a dandelion application can also be applied to cover common purslane weeds. However, making a pre-emergent application for dandelion may be too early to control summer annuals such as crabgrass and spotted spurge. If you’re seeing early season broadleaf weeds with more weeds like spurge coming later during the summer a split application of your pre-emergent herbicide is probably warranted. Read your herbicide label to ensure it covers your targeted species and you’re within the yearly usage rates. 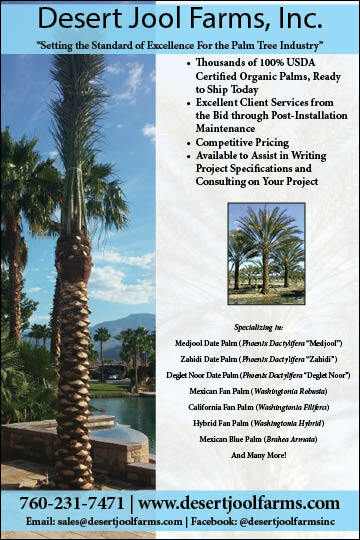 When interviewing your yard care professional ask about their protocol to determine their pre-emergent applications. They should use a soil temperature model or a growing degree day model to predict their applications. Calendar days are a good start to predicting applications, but they can get better results and more precision by using soil temperatures.